In western Colorado, a popular drive is US 550 from Durango to Ouray. It's a beautiful route, especially the Million Dollar Highway from Silverton to Ouray. When you are done, head over to Telluride. When we visited Telluride with young children, we explored the town, played at the park and ate pizza for lunch. 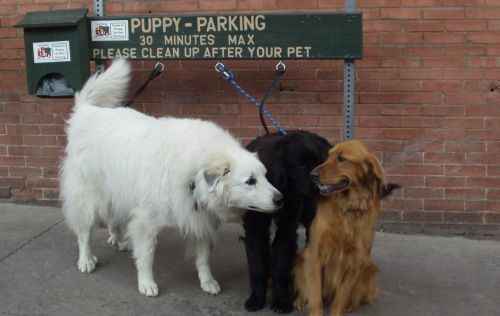 While we ate, Gabby visited with new friends at puppy parking. 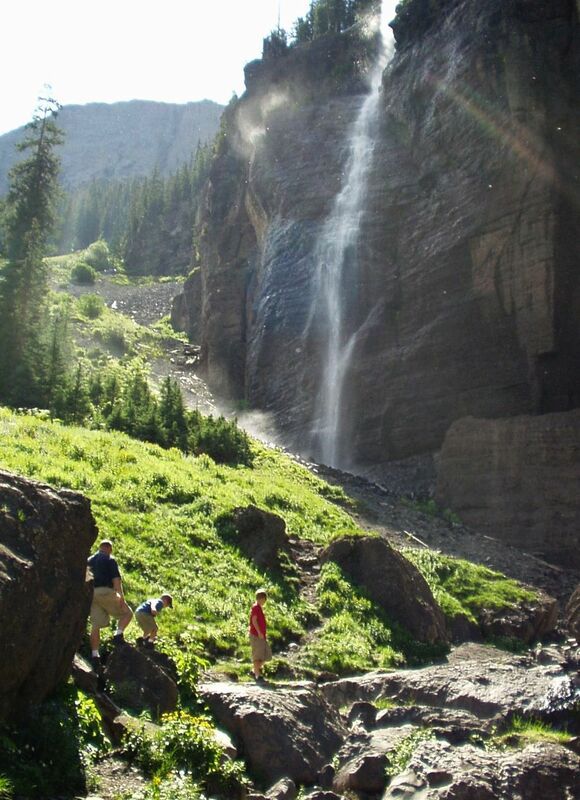 After exploring the town, drive up to Bridal Veil Falls where you can do some easy hiking. The drive to the base of the falls can be tricky. The dirt road is narrow with some tight switchbacks. People were surprised we made it in our suburban. I wasn't surprised, Doug was driving.